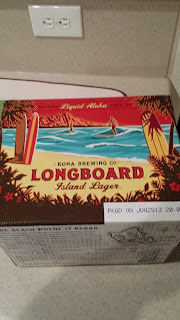 Oh, where to start. 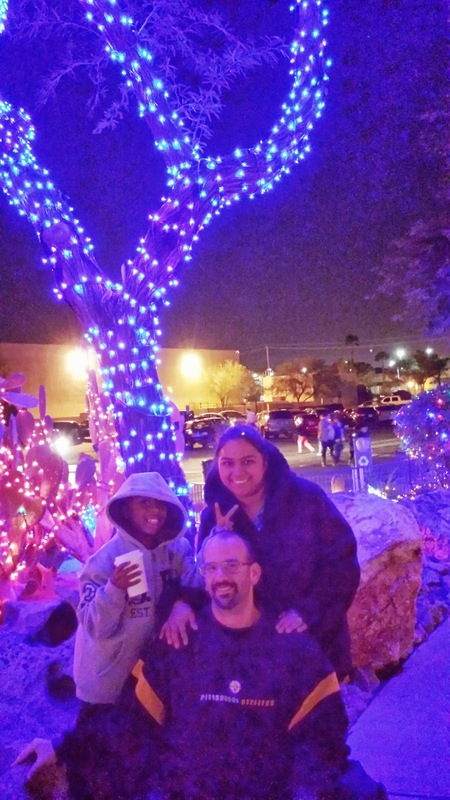 This all might not be in order and there might not be a lot of content but I love my family and I'm using this as an excuse to show them off. 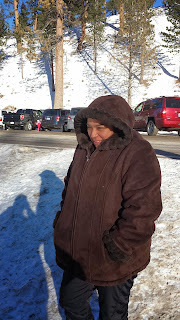 Recently we went to the mountains to go sledding. 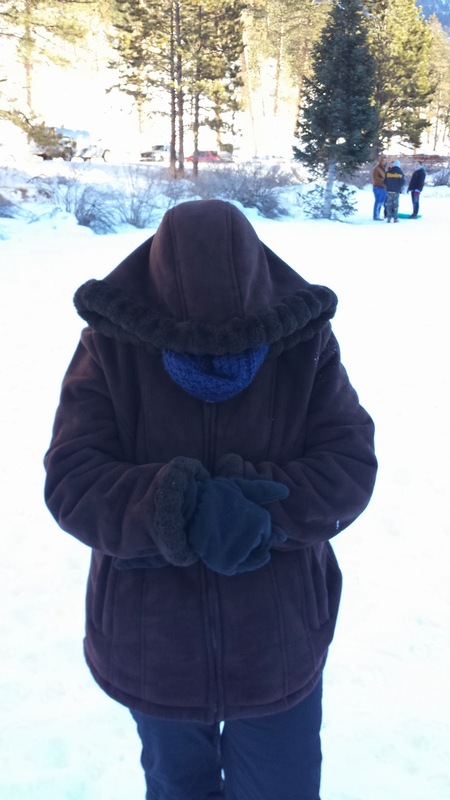 Well, to watch our child go sledding in reality because I'm too old and that's just not fun for a fat aging asthmatic (though I did go down once). I did not dress warm enough either. 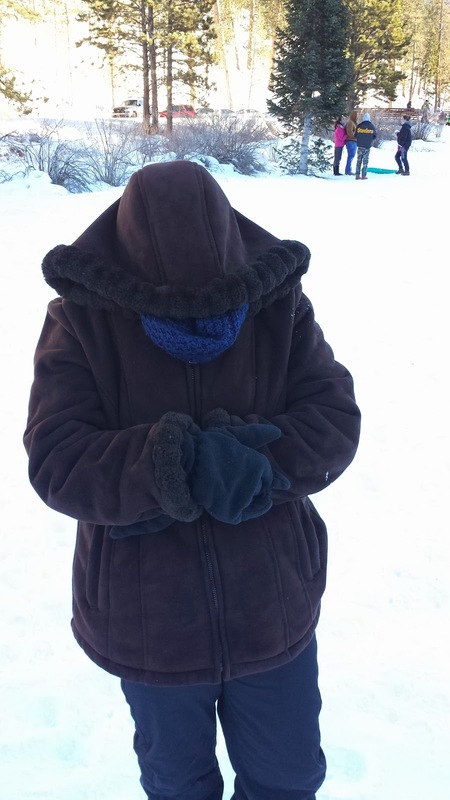 Not a lot of pics but a before and after of my lovely fiance who transformed from an Eskimo to an Ewok within 30 minutes. 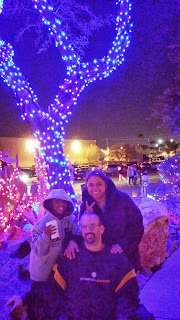 My phone added effects on it's own! 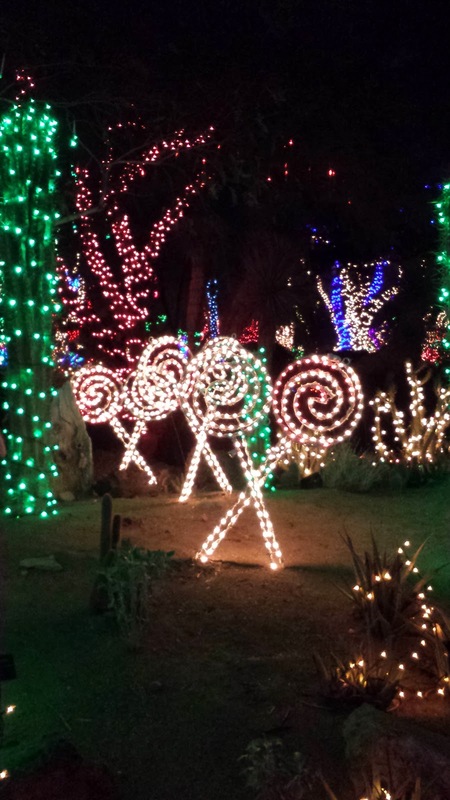 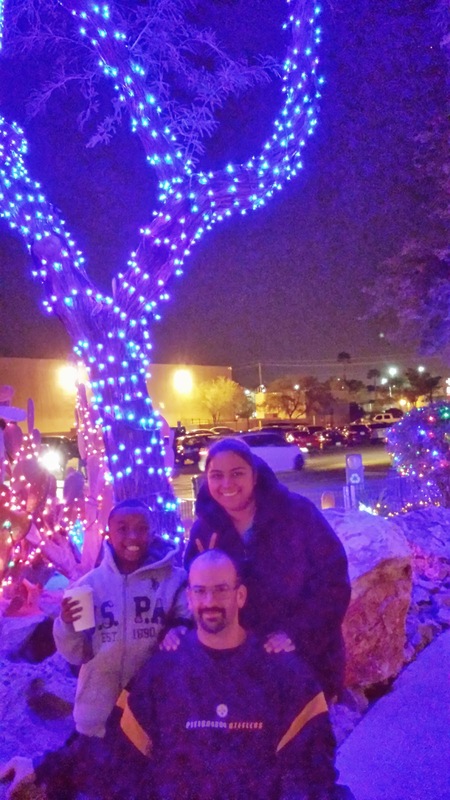 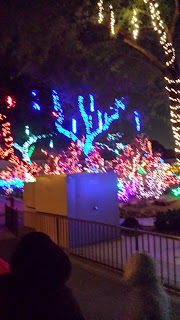 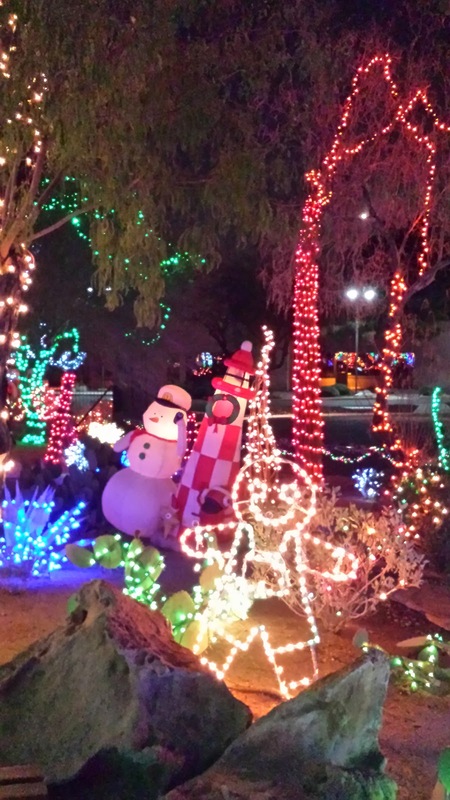 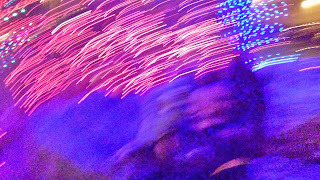 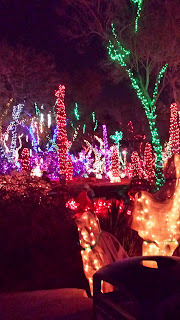 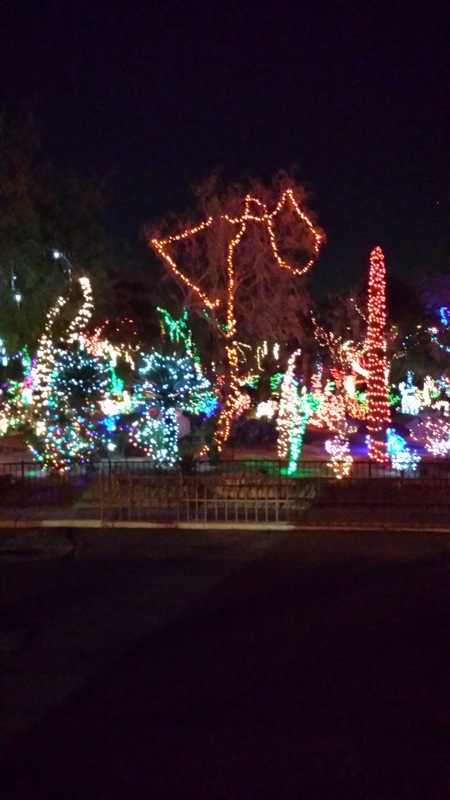 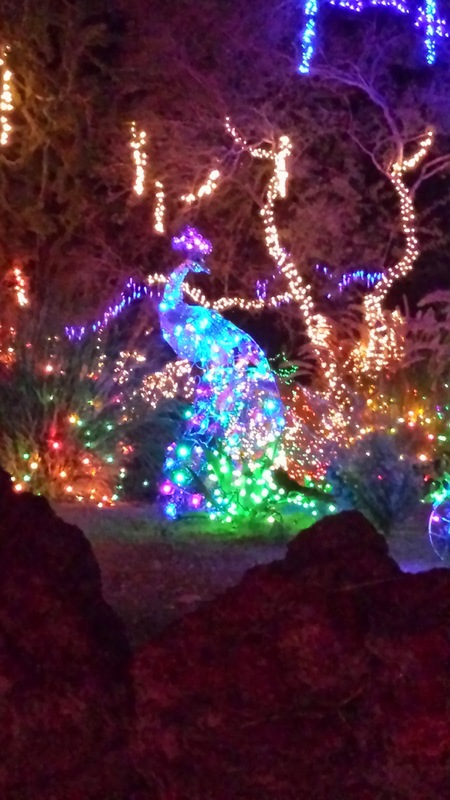 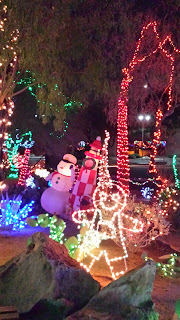 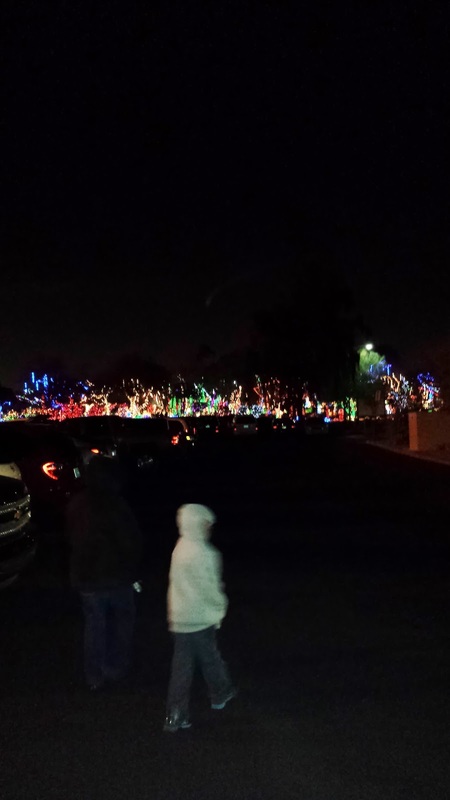 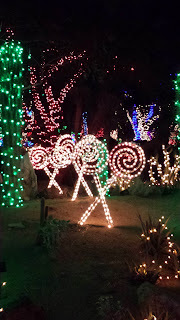 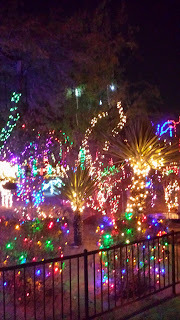 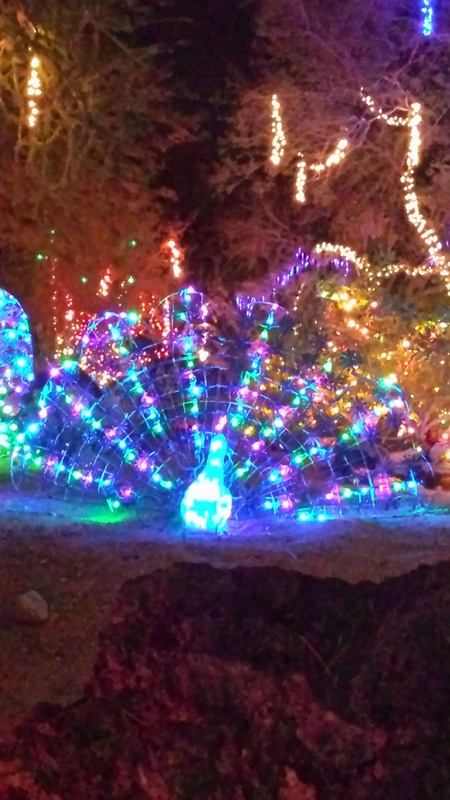 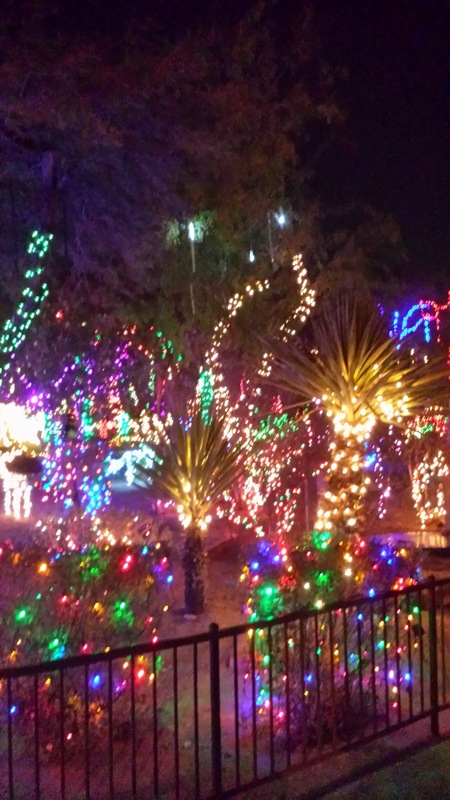 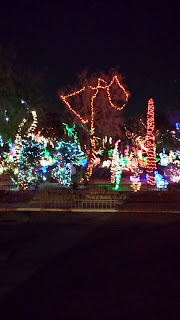 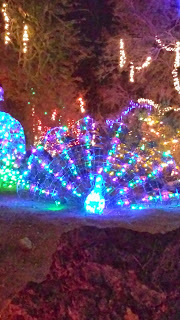 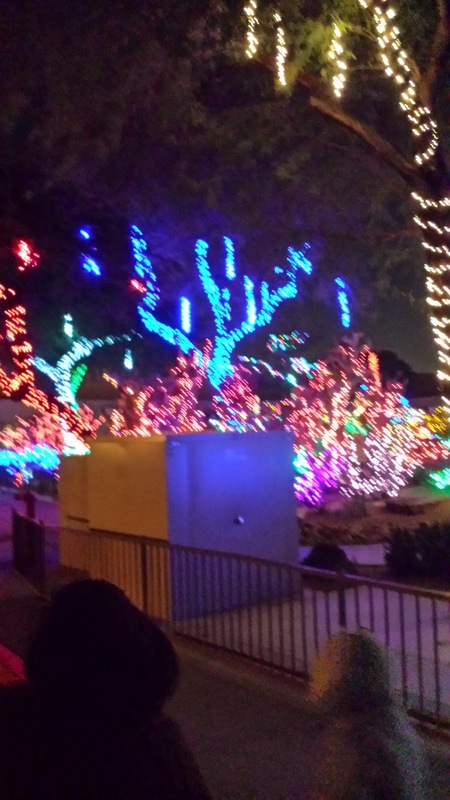 We went to Ethel M's in Henderson to view the Cactus Garden while it was all lit up with Xmas lights. We went last year and will probably continue to make this a family tradition as it really does look lovely late at night all lit up, even if it's chilly. 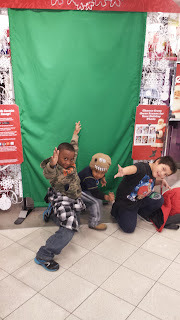 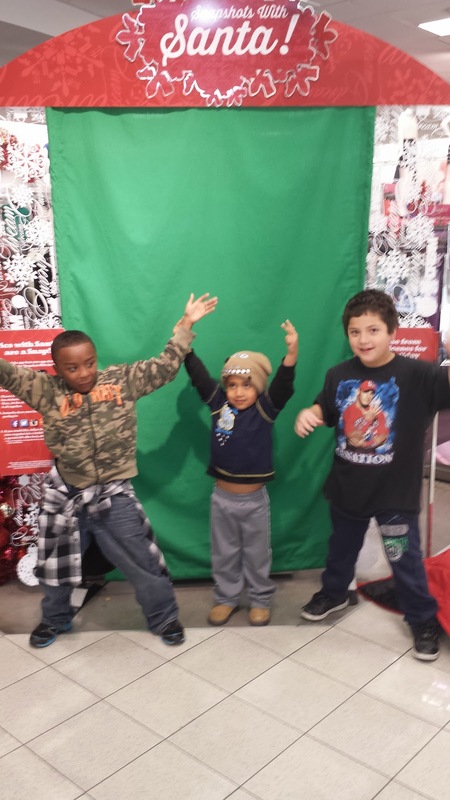 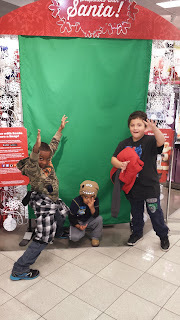 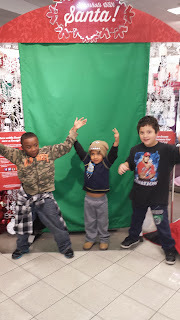 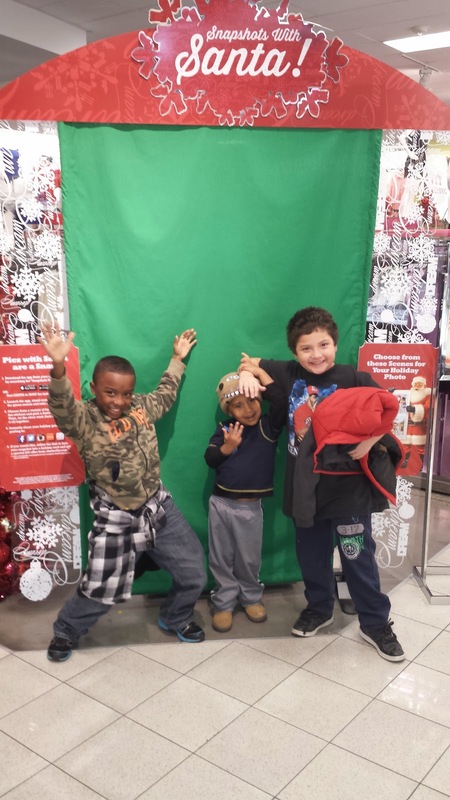 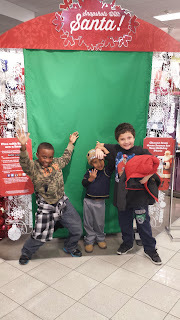 We ended up having someone ask us to take their picture and in return they would take ours as well. 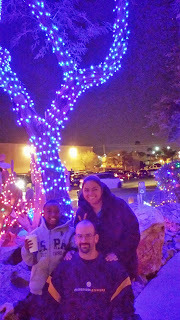 Two out of the 3 that they took turned out good - the last - not so much. 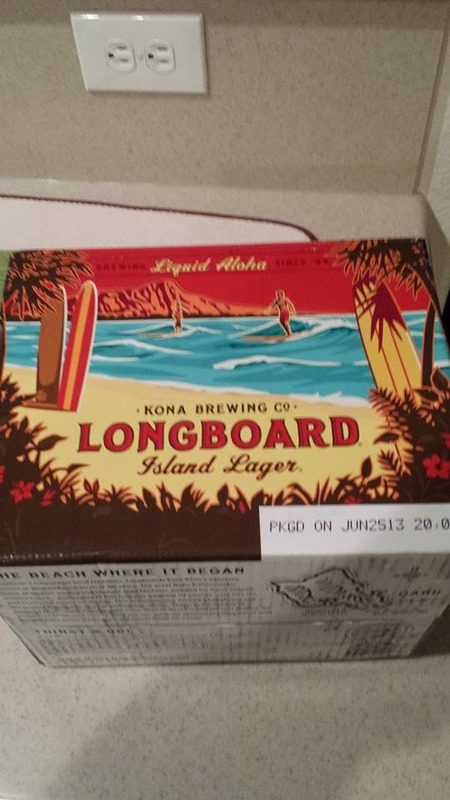 Today was day 2 of inventory - on my way home I had to pick up some prescriptions and I thought I'd treat myself to a relaxing adult beverage!